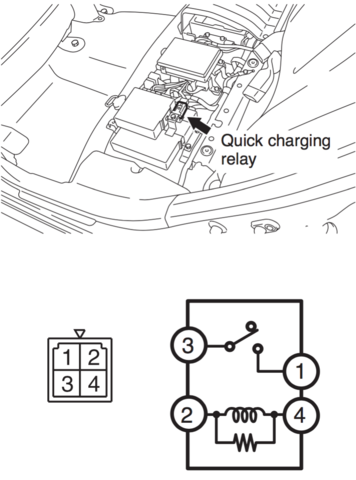 connect jumper between position 2 and 1 at relay connector, and jumper pin 3 and 10 at the chademo port to cause pack relays to close and reveal pack voltage at chademo port, positive voltage is on the right. Last edited by kiev on Sat Feb 03, 2018 5:33 pm, edited 2 times in total. Even though this topic started out as a direct-dc charging thread, the first step of this puzzle is to access the i-MiEV's high voltage (easiest/safest being through the CHAdeMO connector) and then enable the relay which connects the i-MiEV battery HV to this port. Just did that, and thank you siai47 for your groundbreaking work and kiev for the follow-up details. 1) Use a high voltage external charger to directly charge the i-MiEV. This allows us to charge our i-MiEV at home at a rate much faster than using the i-MiEV's built-in 3.3kW charger. This is what this thread started out being, with siai47 successfully demonstrating this. 4) Utilize external power sources to extend the range of the i-MiEV (e.g., batteries through a dc-dc or a gen set with a controlled dc hv output). CAUTION: It goes without saying that we're dealing with high voltages which can deliver very high currents. This a a lethal combination and will kill you. Do not mess with this unless you know exactly what you're doing and taking adequate protective measures. 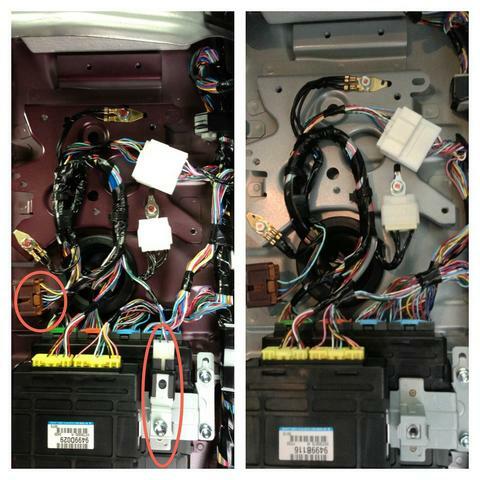 All right, with that out of the way, let's focus on Ben's project - that of utilizing the i-MiEV's high voltage to feed an inverter to provide 240vac/120vac backup power. 1) Does your solar inverter have a stand-alone operation capability in addition to being grid-tied? 2) Does this inverter have any input-current-limiting capability, recognizing that the i-MiEV battery can produce hundreds of amps? The biggest DISADVANTAGE from a hobbyist's point of view is that it's completely unusable in an off-grid/blackout situation. I'm fine with that, as we have a great publicly owned power utility, nice steady power, and I'm just outside of a small city, rather than in a northwoods cabin somewhere. It just means we won't be using MY system as one to experiment with CHARGING an iMiEV from direct solar. Hi Ben, and apologies as I had forgotten that you were using microinverters. So, the question on the table is what inverter can use the 320vdc-360vdc input range of the i-MiEV battery pack and produce 240vac/120vac without having to sync up to an external 60Hz source? JoeS wrote: So, the question on the table is what inverter can use the 320vdc-360vdc input range of the i-MiEV battery pack and produce 240vac/120vac without having to sync up to an external 60Hz source? 360 VDC input is pretty common in the solar inverter world, with maximum ratings of 420 VDC on both of my string inverters. A regular string inverter may be able to be tricked into starting up via a small pure sine wave inverter such as a UPS, which would have to continue running as a reference signal, otherwise the PV string inverter would think the grid went down and disconnect. BUT, Sunny Boy TL series will provide battery-free solar AC power during an outage (limited to a small emergency circuit) and their Sunny Island series is compatible with high voltage batteries. jray3 wrote: 360 VDC input is pretty common in the solar inverter world, with maximum ratings of 420 VDC on both of my string inverters. A regular string inverter may be able to be tricked into starting up via a small pure sine wave inverter such as a UPS, which would have to continue running as a reference signal, otherwise the PV string inverter would think the grid went down and disconnect. 1. Regarding an inverter providing a reference signal, I guess one would first fire up such an inverter, then attach the large solar inverter to it, and then apply the load, in that sequence. So, still need a small stand-alone inverter running off 360vdc. 2. I had looked at Sunny Island previously, but it's designed around 48vdc battery storage. I still think it would be best to NOT need a secondary inverter to "trick" the primary one on. I'm sure that if we look around, we could find an appropriate inverter which can run off 360VDC WITHOUT needing a grid-tie connection. Yes Joe, the Sunny Island was based on 48V, but the new model will support packs anywhere between actual voltages of 100 and 600 VDC. Our 360V pack is right in the middle.